It’s hard to believe that I first launched the Sly Cooper Fan Network over eight years ago back in November, 2011. At the time I was in middle school and a lot has changed since then. Lately, things have been pretty quiet here on the site. I’ve been at college pursuing my bachelors degree in Graphic + Media Design for the past four years; a passion that was sparked in large part by the work I did here at the Sly Cooper Fan Network. In just a few short months I am hoping to graduate and kickstart my career as a professional designer, but I should also have little more free time to devote to the site. I can’t wait to get back into the scene, although it seems like I haven’t missed too much - the Sly Cooper community looks as if it’s in a bit of a drought, at least in terms of updates. As fantastic gaming YouTuber VTNVIVI discovered last month, a Sly Cooper mascot was recently spotted at a Sony-sponsored football game, the PlayStation Fiesta Bowl. While the appearance of this special guest doesn't confirm anything, it is raising eyebrows as to whether or not Sony is teasing a fifth installment of the Sly Cooper series. For a more in-depth analysis and breakdown of these recent events, as well as how Insomniac games may or may not play a role, be sure to check out VTNVIVI's video! Over the past few weeks, information regarding the highly anticipated Sly Cooper animated TV series has surfaced on PGS Entertainment's website. A total of 52 episodes have reportedly been commissioned, each weighing in at 11 minutes in runtime. The officially released synopsis states “Sly Cooper follows the adventures of an irresistibly charismatic raccoon, a modern-day Robin Hood, who restores justice to his city one theft at a time. 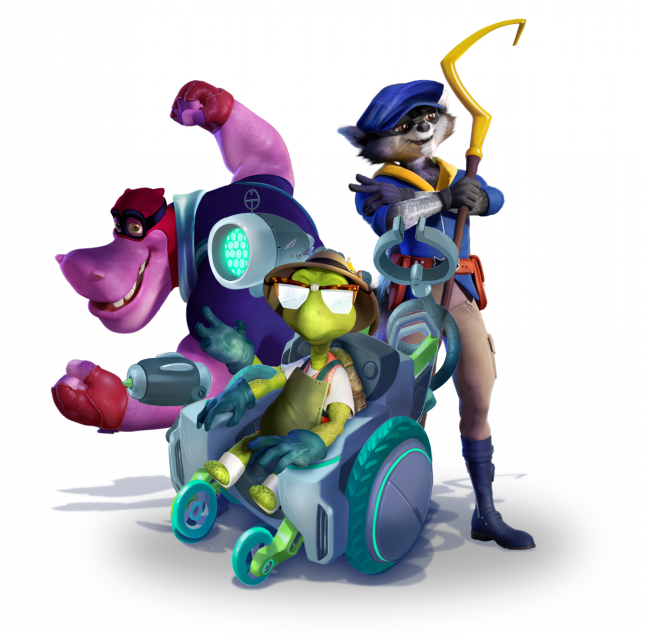 Mixing humor, action, and a remarkable cast of characters, Sly Cooper promises to be an unforgettable series.” The target age demographic for the thievius program is unfortunately stated as being 6-10 years old, which has many long-time fans concerned about the direction of the franchise. Nonetheless, this is the first bout of Sly Cooper related news since the initial announcement of the series last summer. 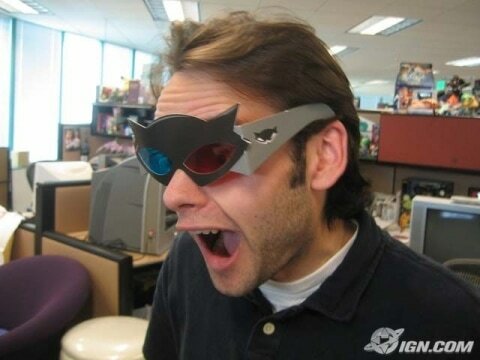 Keep an eye on the Sly Cooper Fan Network for any further developments. 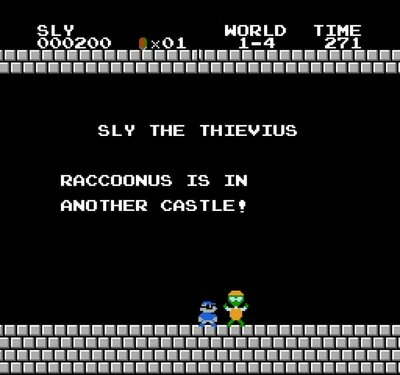 Sly Cooper expert and YouTube celebrity VTNVIVI has recently published a video analyzing the probability of a future Sly Cooper game. In a recent interview, a representative from Sanzaru Games mentioned that the studio has been working on a secret side project. VTNVIVI gives his thoughts as to what this project may be, and draws information from other reputable industry insiders that may provide some clues as to the fate of our favorite raccoon. This video is definitely worth a watch if you haven't seen it already! Be sure to subscribe to VTNVIVI on YouTube for tons of cool Sly Cooper videos and analysis! 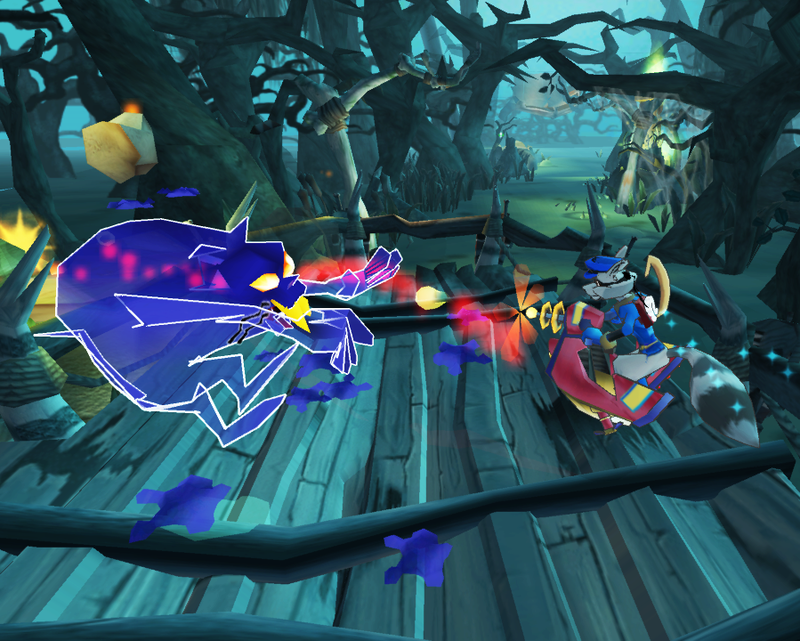 It has recently come to our attention that the official Sly Cooper website has gone offline. For years, the web address SlyCooper.com would redirect to a sub-domain of Sony's website at the address slycooper.playstation.com up to as recently as July 2017. 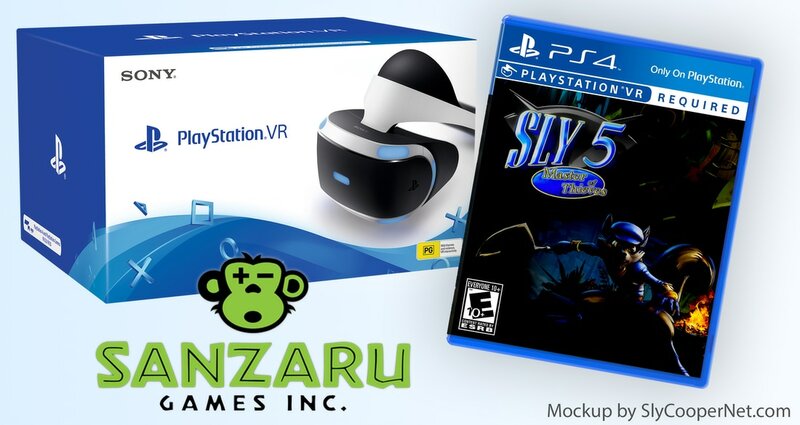 After doing a domain lookup of SlyCooper.com on WhoIs, we found that Sucker Punch Productions is still in possession of the SlyCooper.com domain, not Sony or Sanzaru. This likely means nothing as we already know that Sucker Punch has moved on from Sly Cooper, but I figured it was worth reporting anyway. Since the link SlyCooper.com only redirected to a sub-domain of Sony's Playstation website, the site going offline does not mean that they failed to renew the web address; it most likely means that Sony intentionally unpublished the Sly Cooper website. Could this mean that they are abandoning Sly Cooper? Could this mean that they took the website down to perform updates and renovations on it to promote an upcoming game? Could this simply mean nothing at all? It is entirely possible that the site was taken down to free up server space. There wasn't much content on the official website, and it hadn't been updated since 2014 anyway. It does seem strange that Sucker Punch still own the website address SlyCooper.com. It's possible that they've always retained ownership since 2002. However, I remember looking up the website on WhoIs in the past and I thought I remembered seeing it under different ownership... but I have a terrible memory and could be mistaken. (SEE EDIT BELOW). Of course Sucker Punch announced just last week that they have been busy working on a new game, Ghost of Tsushima, which is a total departure from the Sly Cooper and inFamous series. This all probably means nothing, just figured it was worth reporting to see what you guys thought - let us know in the comments! EDIT (3:45 pm EST): Upon digging deeper, I've discovered some other curious information. 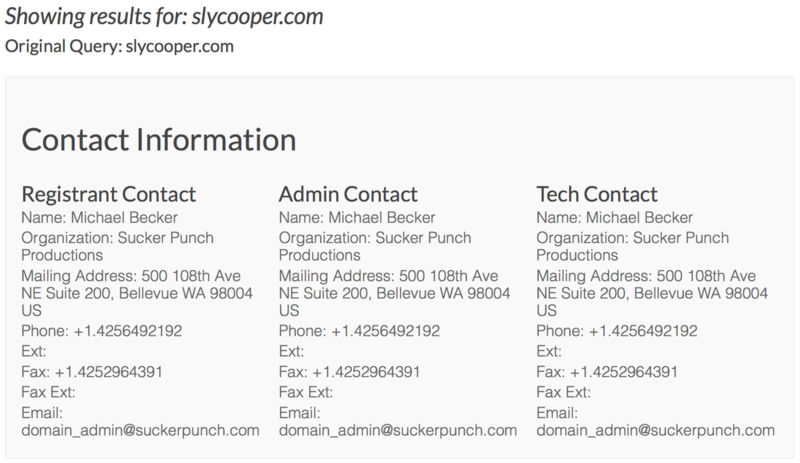 Both SlyCooper.com and SuckerPunch.com are registered to the same person: Michael Becker. According to his LinkedIn profile, Michael Becker has only been working as an IT Administrator at Sucker Punch since February 2015. So there HAVE been changes to the ownership/registration status of the website since Thieves in Time was released (though this could simply be because the domain was renewed - I dunno). I do wonder why Sucker Punch are the ones renewing and retaining ownership of the Sly Cooper domain, and not Sony (who, correct me if I'm wrong, presumably holds the IP for the Sly Cooper Series?). Of course any company wouldn't want an important domain - even for a retired product - to fall into somebody else's hands. 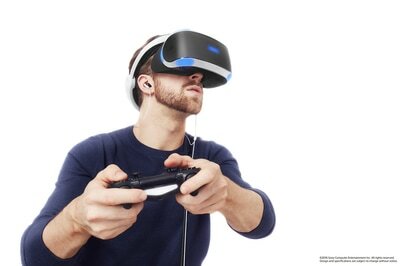 It just confuses me as to why Sony isn't handling it since Sucker Punch is done with the series. This also seems weird because, once the animated series is released, won't the companies involved with that venture want to use SlyCooper.com for promotional purposes? I'll have to do more research to see who the website was registered to in the past, and if it ever changed hands from Sucker Punch Productions before this more recent update in registrant information. Sucker Punch Productions, the producers of the first three Sly Cooper games, have just announced what they've been secretly working on... and it's not Sly. Nor is it Infamous. It is an entirely new IP, as previous rumors had predicted, called "Ghost of Tsushima." The subject of samurai certainly isn't much of a stretch for the studio, however the time period certainly is. Sucker Punch's title's never disappoint, however, this does leave the future of Sly Cooper games in limbo. Huge thanks to PT_DS who tipped us off to this major news development. Yes, the Sly Cooper Fan Network is still active, things have just been crazy in life lately. Expect updates soon! 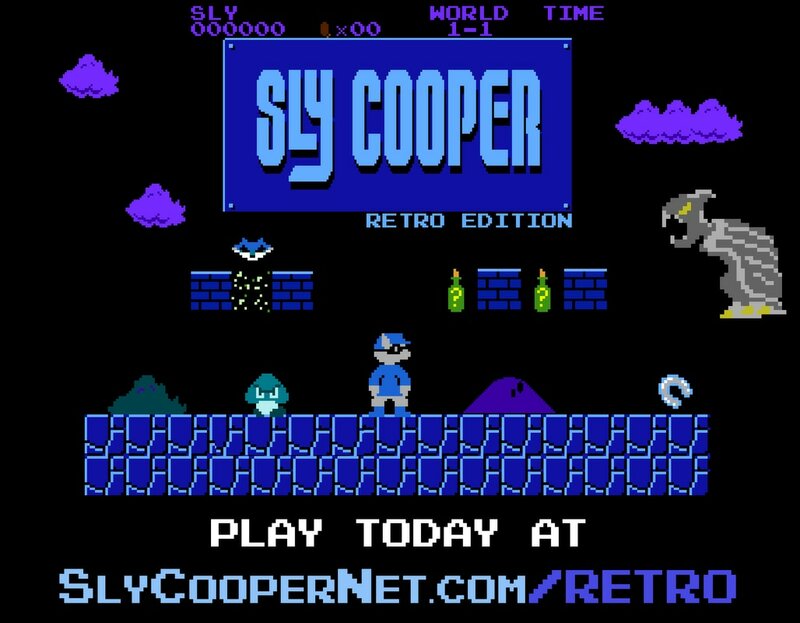 Sly Cooper Retro Edition - Play Today! 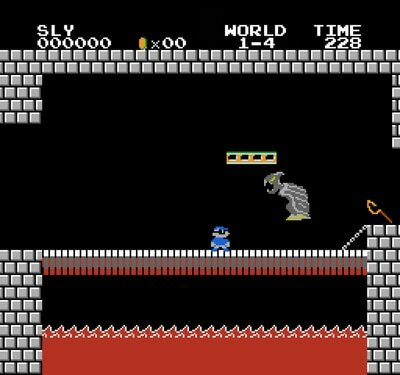 Ever wanted to play as our favorite thief in beautiful, 8-bit retro style? 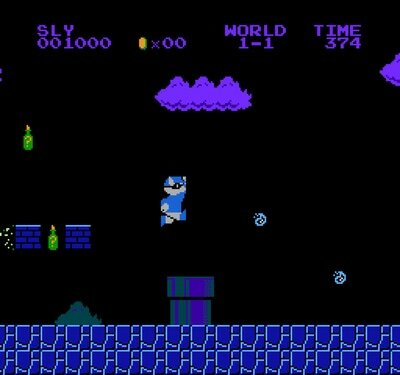 Now you can, with Sly Cooper Retro Edition! 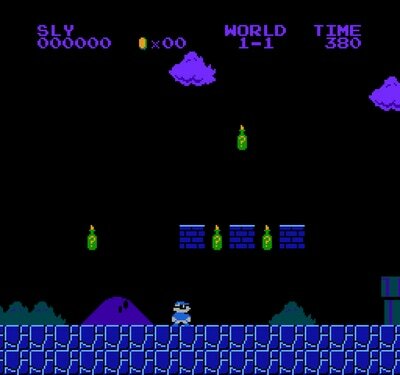 Check it out on the Retro page! Clockwerk is back, and has stolen the Thievius Raccoonus AND Sly's cane! Can you defeat the mechanical owl fueled by hatred and steal back the Cooper family's treasure? 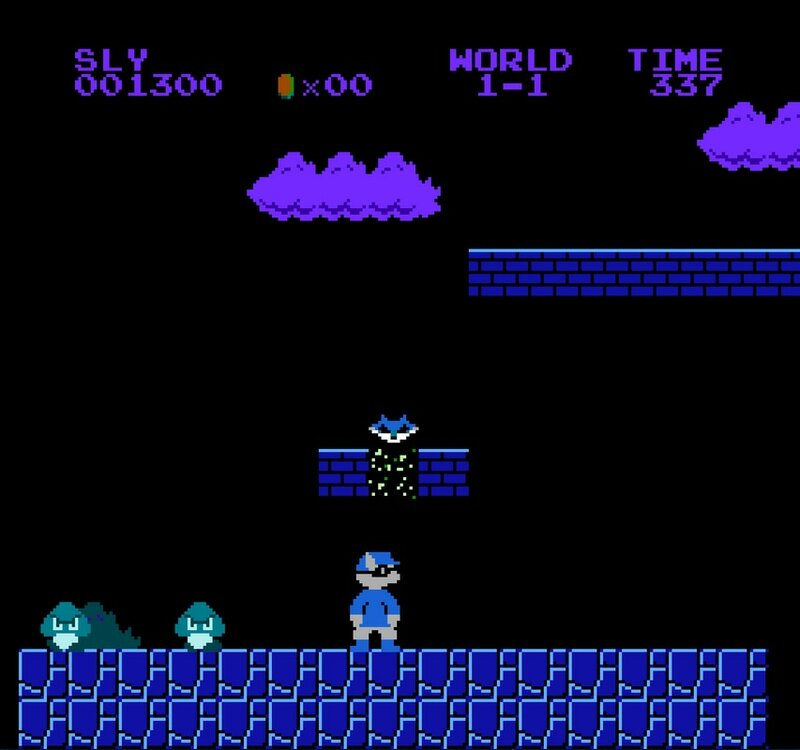 Sly Cooper Retro Edition is a graphics hack of Super Mario Bros for the Nintendo Entertainment System from 1985. The game isn't totally finished yet, but I decided to release an early version after all the support the project has gotten on Amino, Twitter, Facebook, and even from Kevin Miller - Sly's voice actor! You can either play it right on the website, or you can download it to play on an emulator. 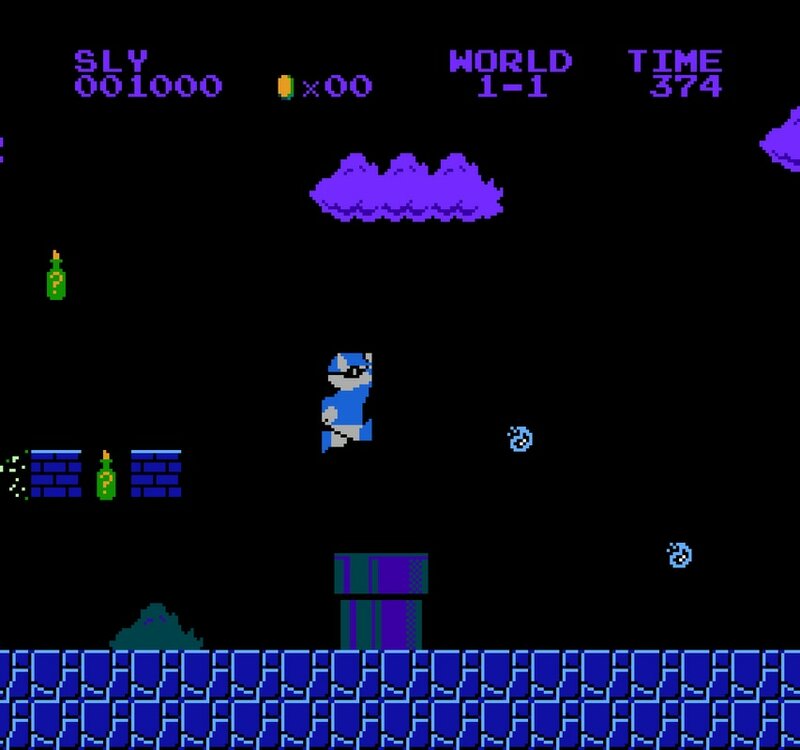 It's essentially Super Mario, just redesigned to look like a Sly Cooper game. Check it out! This news comes courtesy of VTNVIVI on the Sly Cooper Amino App. A user on Twitter by the name of MohamadGamez tweeted the image featured on the left. 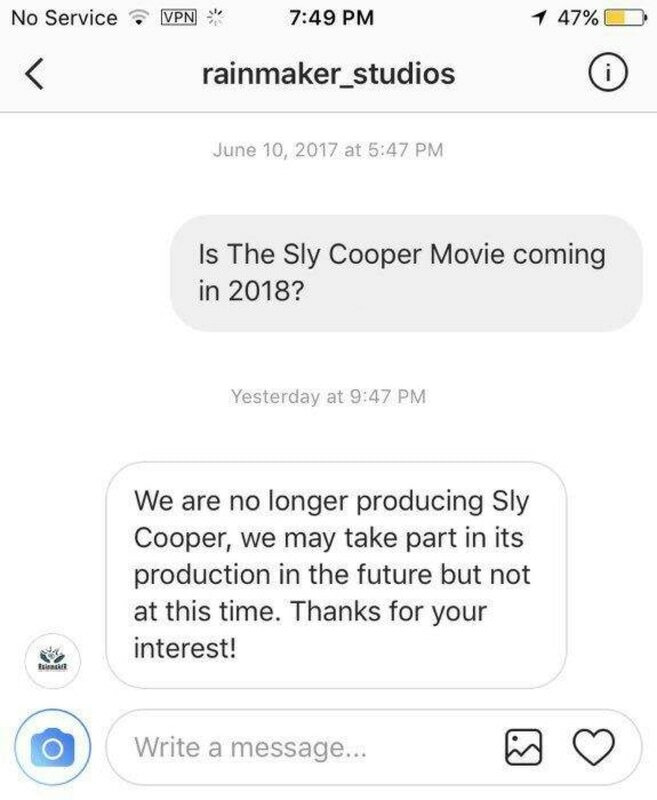 After inquiring about the status of the Sly Cooper Movie, Rainmaker Studios confirmed that they are no longer producing it. While they stated they may produce it in the future, I doubt it. Their Ratchet and Clank film adaptation wasn't hugely successful at the box office, and this is likely an attempt by Sony or Rainmaker to cut their losses. Producing a movie is difficult. Producing a movie after it gets placed on hold rarely happens, and it lingers in development hell for eternity. Besides, the movie would end up conflicting with the TV series. This news further verifies Verona's controversial claims the other week when she stated in a DeviantArt post that the movie would get shelved in favor of an animated series. So after three years of anticipation, we have the promise of something completely different. 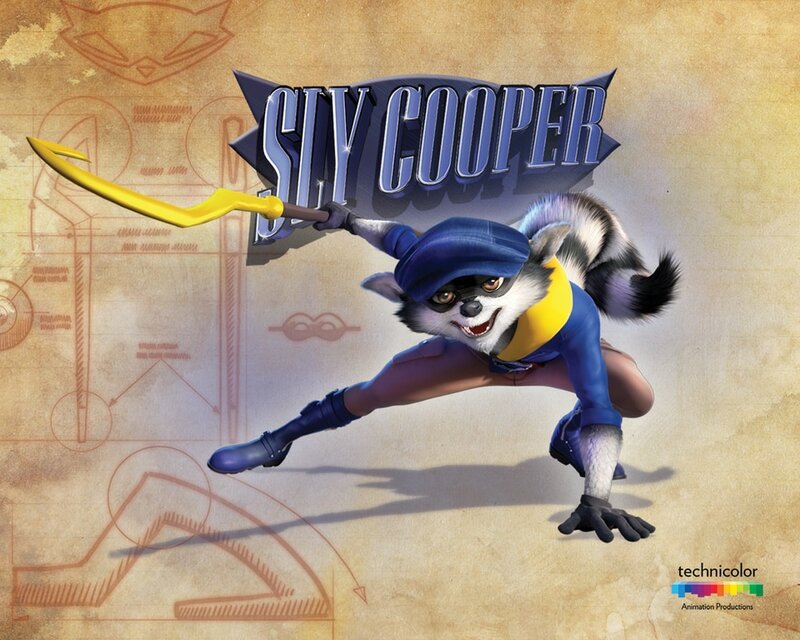 Moving on to new beginnings, and hopefully this Sly Cooper animated TV series turns out to be a smash hit and give our favorite raccoon the recognition he deserves! Sly Cooper Animated Television Series Confirmed! Finally! 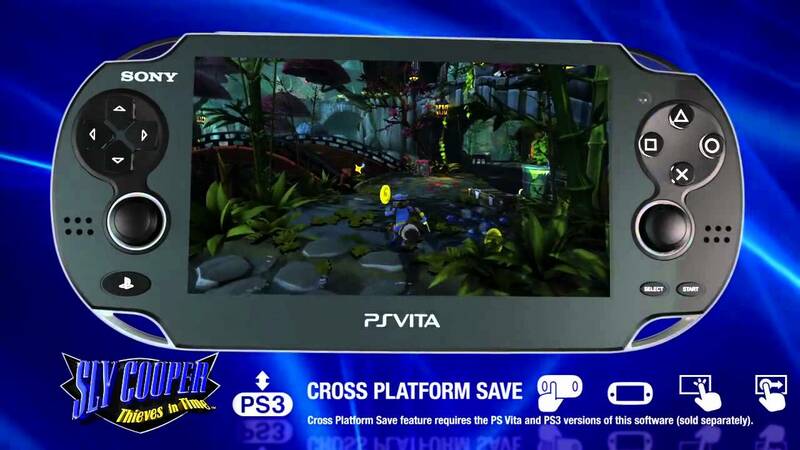 Sly Cooper news! 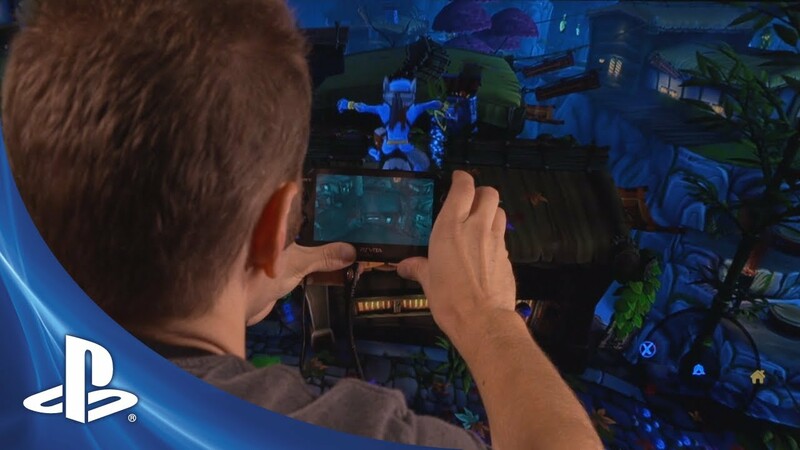 An article published just five hours ago by Animation Magazine has confirmed that Sony and Technicolor Animation Productions have teamed up to create a Sly Cooper CG-animated television Series. The article did not specify any plot details, and the main point of interest was this teaser photo that accompanied the article. This new development supports Verona's claim the other week that the movie had been temporarily shelved in favor of an animated series. This development doesn't come as a surprise after the commercial failure of Rainmaker's Ratchet & Clank movie adaptation. A Hong Kong investment group known as PGS will be handling brand management, distribution, and even merchandising! 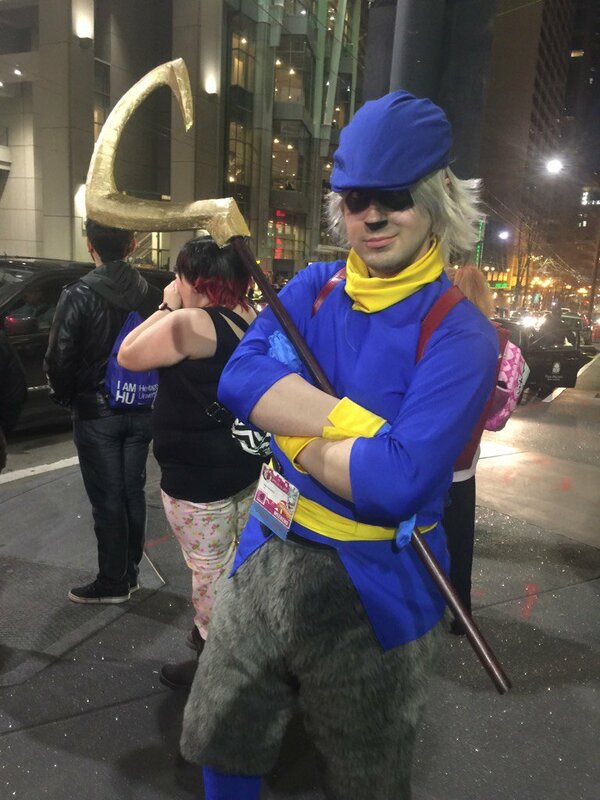 Sly Cooper might finally get the attention he's desperately deserved. Unfortunately, E3 2017 was a bust for Sly Cooper fans. There was absolutely no mention of our favorite raccoon throughout the entire event. 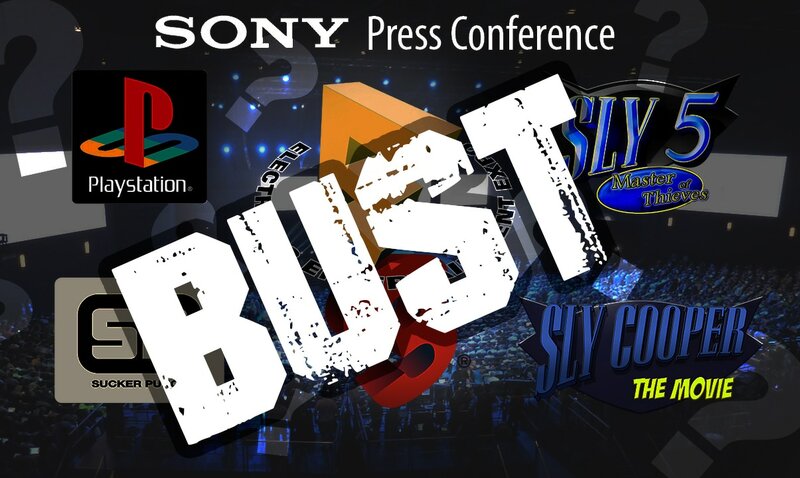 And, despite reports by industry insiders, Sucker Punch Productions did not provide a game to be shown in the Sony PlayStation showcase. Sanzaru and Rainmaker were also no-shows. However, since Sucker Punch didn't announce what they've been working on in secret, that means there's still hope that it could be Sly Cooper! Ending on a positive note, another gaming conference dedicated exclusively to PlayStation, PSX 2017, is coming up this December. Perhaps we'll get lucky then! 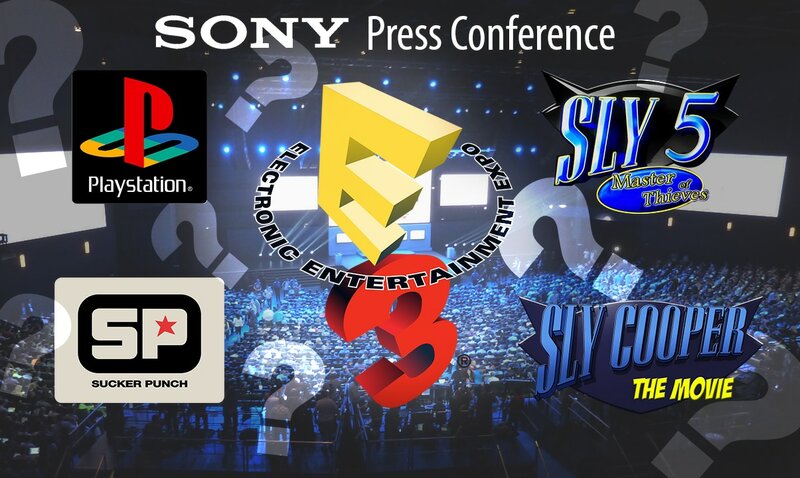 Sony at E3 Tonight: Sly 5? Sly Movie? Sly Collection? VTNVIVI, one of the the best investigative journalists in the Sly Cooper community, has uncovered some exciting information regarding the upcoming Sly Cooper Movie. Essentially, there won't be any news about the movie at E3 this year, as previously suspected. However, there will be news coming at some point in June! VTNVIVI goes on to discuss the possibility of Clockwerk's appearance in the the film, as well as a controversial "leak" by another Sly Cooper community icon, Verona (yes, the founder of the successful fan website, Verona Online: Sly Cooper). Be sure to watch his video for the full scoop, and lemme know what ya think!